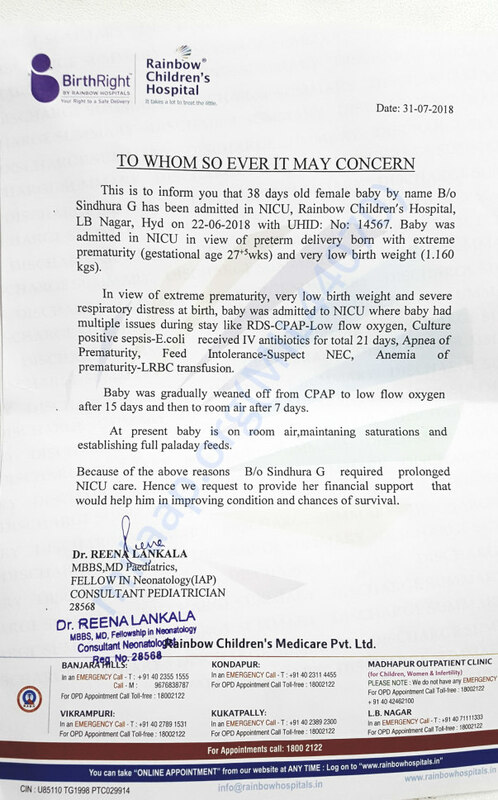 My kid was born premature (6 months 2 weeks) on 22nd june, 2018 with lot of health complications, in Rainbow hospital, L B Nagar,Hyderabad. She was only 1.160 gms and needs to be in NICU care for 60 days(minimum) till she gets little better. The hospital expenses are too high.. 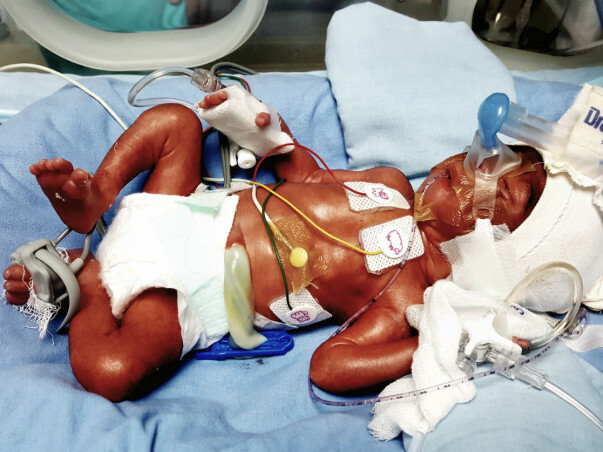 It is approximately Rs.25,000-Rs.30,000 per day in NICU charges .This would be somewhere 10 lacs approximate. She had got intestine infection on 4th day. The situation of kid is breathing problem. I'm trying my level best to take care financially. But with this 30,000 for 60 days is something beyond my reach. Thank you for all the love and blessings you have showered on my daughter. She has recovered completely and is now resting at home. Her weight is 4 kilograms presently. I am extremely grateful to all of you for standing by us during our difficult times and providing a new life to our daughter. To give a few more details about the baby, she now weighs 1.7 kilograms. Her weight has increased from 1 to 1.7 kilograms. Her health is improving and we are all hopeful about her recovery. Please keep praying for her well being. We shall keep you posted. Thank you again! Thank you for all the support shown so far. We are happy to tell you that our baby is now discharged and is doing much better. We are indebted to you for all the support. God bless.